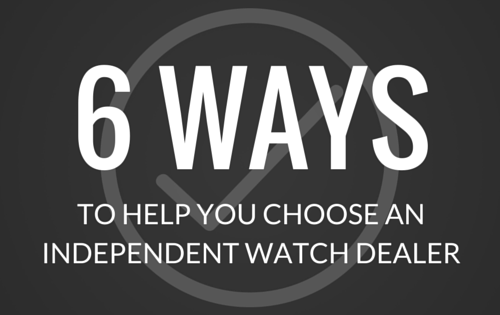 I think what makes the online buying experience even easier is having access to helpful information and sound advice as you make your Rolex selection. Today’s Spotlight is on the Rolex Datejust Lady 31mm 178240, a model that is often overlooked or perhaps not well known. 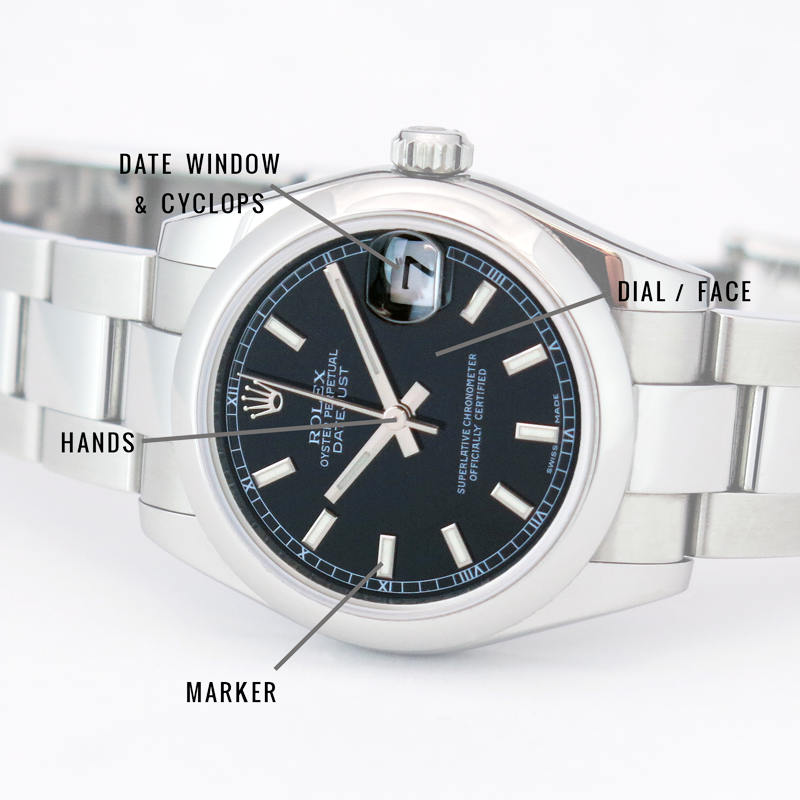 While I discuss the factory specifications, I’ve also included the simple observations and opinions I’ve made about this model in particular over the years; hopefully providing a little more real-world perspective than what you would find in a Rolex pamphlet. 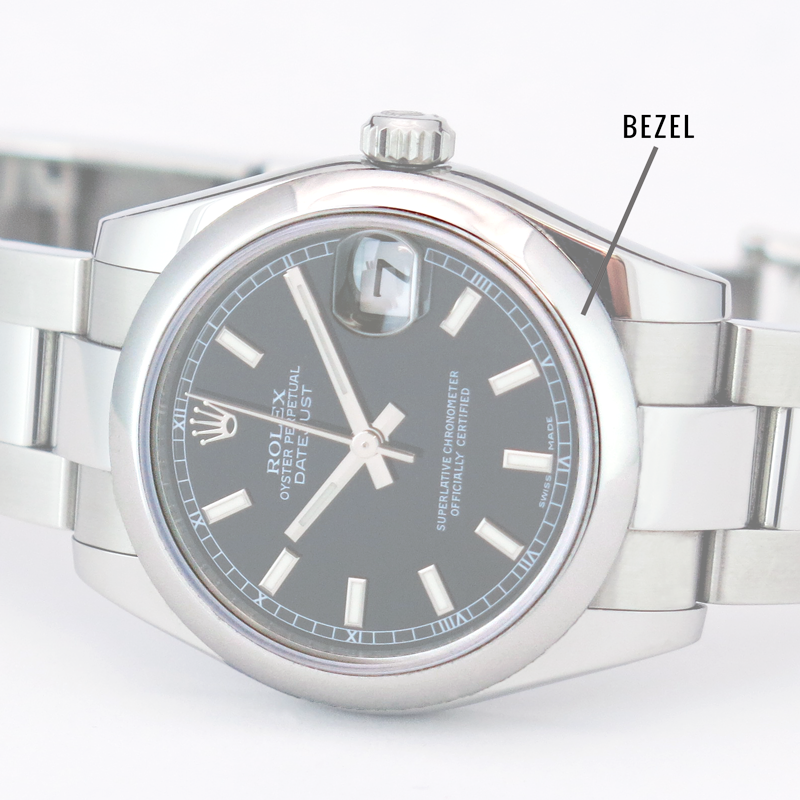 We rattle off a model’s reference numbers a lot when talking Rolex. Each number and how they are arranged mean something specific, allowing you to communicate most of the watch’s specifications in shorthand. So I thought I’d first give a reference number breakdown whenever I do a Spotlight. 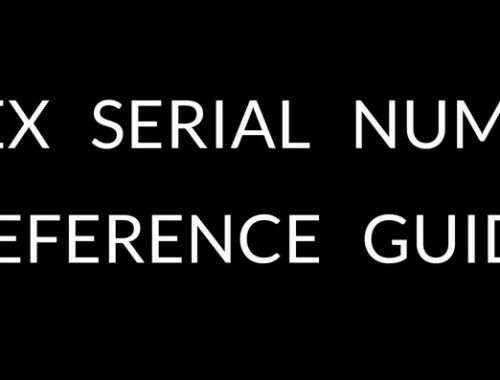 This applies to the 5- and 6-digit reference numbers. Size: 31mm Measured by the diameter across the case, the 178240 is a perfectly lady-like balance between the standard 26mm and 36mm models. It falls into the mid-size category without being too bulky. The size is also ideal for those who are far-sighted, have mature eyes, or would simply prefer a larger face to read the time. 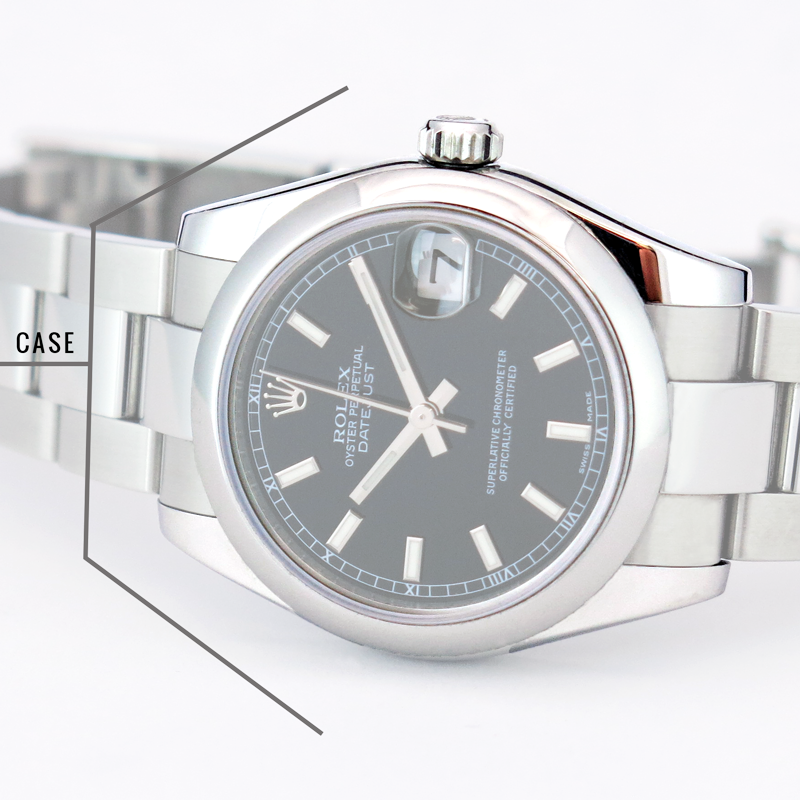 Metal: 904L Stainless Steel Rolex chose 904L stainless steel for the 178240 because of its superior tolerance for wear, environmentally or personally inflicted. This superalloy makes up the case, domed bezel, Oyster bracelet and Oysterclasp. Movement: Calibre 2235 The Datejust Lady 31mm runs on the COSC-certified calibre 2235 mechanical (self-winding) movement. A mechanical movement is not battery-operated and charges itself with the movement of your wrist. Known for its reliability, this is the most current movement manufactured by Rolex for the lady and mid-size watches. Dial: Black Luminous Bold Index Featured in this post is the black dial with bold, luminous index markers. Each of the markers, the Rolex crown, and hands are formed with white gold. The luminosity of the markers and hands gain strength with exposure to artificial or natural light. Oyster Case The foundation of Rolex is the Oyster Case, encompassing the movement within a dust- and moisture-free environment. Domed Bezel The domed bezel not only pulls together the clean-lined, minimalistic look of the 178240 but also functions as one part of the patented system that ensures water-resistance when you wear your Rolex. Oyster Bracelet & Oysterclasp The Oyster bracelet is made up of three-piece links, flat, and with a polished center. The folding Oysterclasp securely closes the Oyster bracelet to your wrist and features the Easylink extension system for a minor sizing adjustment. The newest era of the 178240 is a bit more solid – or heavier – than the pre-2004 models. This gives a much more sturdy feel to you as the wearer but it also physically looks larger than 31mm, usually a welcomed characteristic. Also included within this mid-size’s facelift are the high-polished lugs and bezel, which definitely creates a brighter, more luxurious aesthetic. Overall, the new-style 178240’s appearance and hardware was simply updated to a modern standard, while the internal movement remains the same. If your budget places you within the bracket of purchasing the traditional-style 78240, no need to feel as though you are being short-changed. You will still achieve the same style aesthetic but at a wonderfully reasonable price. The domed bezel is easily polishable and the Oyster bracelet is less susceptible to wear compared to the Jubilee bracelet, so they are easy to find in excellent – and a lot of times, like-new – condition. This is definitely a testament to the durability and craftsmanship Rolex is known for. The 178240 featured here is equipped with the Oyster bracelet and domed bezel. These two components combined create a very clean, minimal look. While I would call this specific timepiece “casual” or “sporty”, I only mean relatively; no matter the model you choose to wear that day there will always be an element of luxury and formality to it. 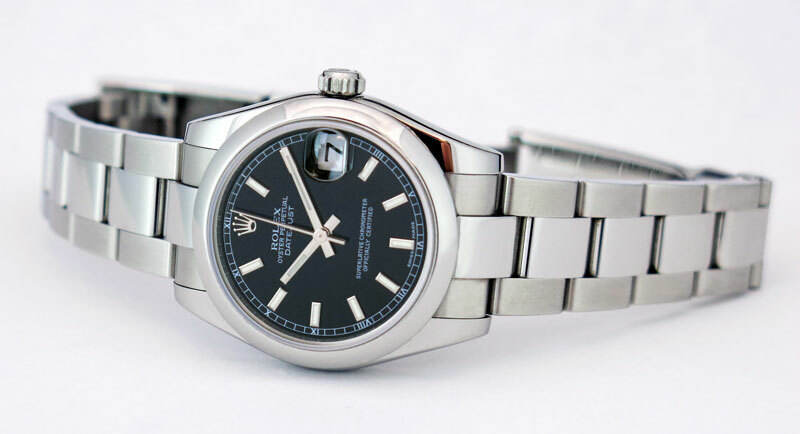 With that said, the average woman I found choosing these models during my time at Watch Chest were in their 30s and 40s, but the Datejust Lady 31mm is absolutely ideal for any women who needs a larger face to read the time more easily but doesn’t want to step into “oversized” territory. Also, she may have a more active lifestyle, where the Oyster bracelet’s superior durability is necessary or it simply fits perfectly into her fashion aesthetic. It’s bold, but undeniably lady-like. Your Datejust Lady 31mm will initially complete two tasks at once, combining the delicate femininity of the Lady-Datejust (sized at 26mm) together with the trendy or functionally oversized aspect of the Datejust (36mm). Still the epitome of class, every aspect comes together to create the ideal timepiece for the woman with an active lifestyle who has functionality and durability in mind. However, its style is so versatile, sure to satisfy those looking for an effortless, well-rounded Rolex. This is what makes the 178240 stand out and always highly sought after. 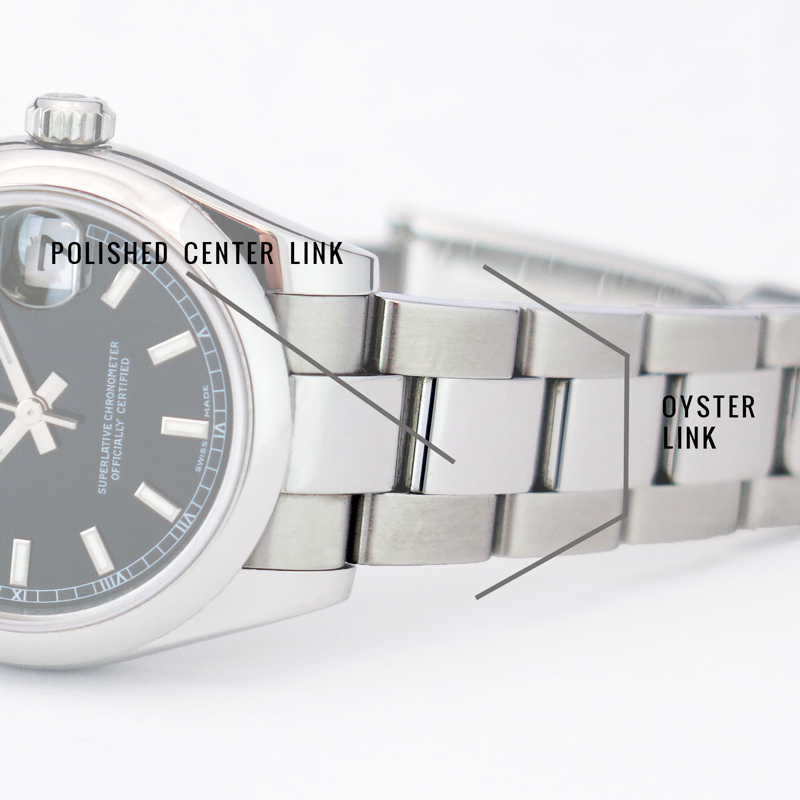 I would like to buy the Rolex Oyster perpetual 36mm watch for my wife as a surprise gift. She’s 5’10” tall with an athletic build. I am concerned the watch may be too large for her but also concerned that the 31mm may be too small. I’d like some advice ASAP.